This is an original mixed media mandala on 12" x 12" canvas using collage, watercolor, and ink. 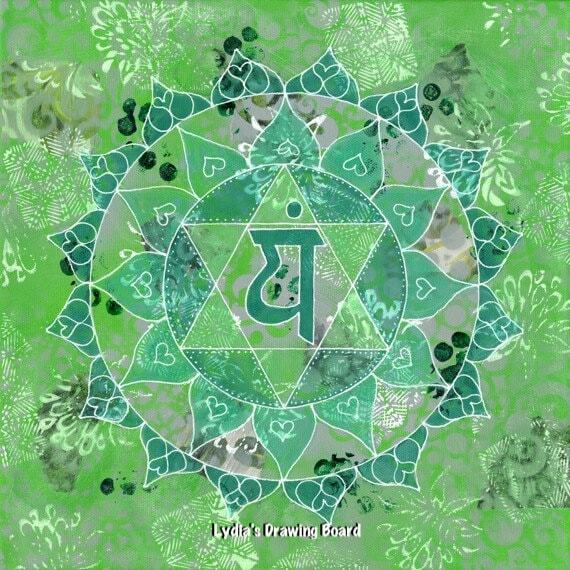 This mandala is an interpretation of the fourth chakra. Wire is attached to the back for hanging. Sides of the canvas are painted in a color to complement the color scheme of the mandala.